At Baselworld 2008, Seiko announced the creation of the first watch ever designed specifically for a spacewalk. Richard Garriott, who is to be the first person to wear it in space, is on schedule with his training and other preparations. He will blast off from the Baikonur Cosmodrome in Kazakhstan as planned in October this year. Seiko is very disappointed that this has happened. The Spring Drive Spacewalk watch has been specifically designed to withstand the extreme conditions of an EVA, and Seiko was looking forward to this early opportunity to have its capabilities put to the ultimate test, and proven, on this mission. 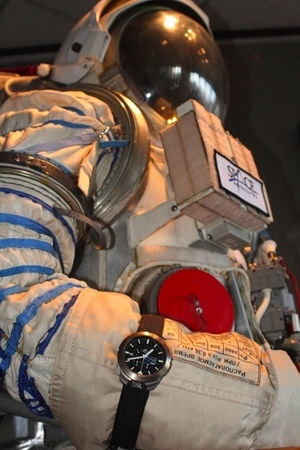 Seiko is still determined to prove the watch on a spacewalk; SEIKO Watch Corporation, Seiko Epson, and Space Adventures are now exploring the earliest possible alternative opportunity of an EVA. The first watch ever designed from scratch for a spacewalk will, one day soon, be proven. Below is the message by Richard Garriott on his website. “In April the Seiko Watch Corporation announced that I will be taking a specially designed ‘Spacewalk’ watch into space with me. The intention was for me to wear this on a spacewalk, but unfortunately my dreams of a spacewalk have not materialized. But I still plan on taking the Seiko watch with me to the ISS. I have the Seiko watch with me for a couple months now and this is what I can tell you about it. I visited the Seiko factory in Japan in early March. During this visit I met the amazing team that created this watch. In talking with them, and learning about what they went through in designing the watch, my enthusiasm and respect for Seiko grew immensely. My knowledge of what goes into making fine watches grew, and with that, my faith that the watch would perform very well in the unusual and extreme environments of space. I have been wearing the watch through my training and it has already provided great service and survived through some torturous training. Most recently, I performed a nominal 4g and a ballistic 9g re-entry simulation in the centrifuge. While these extremes challenge the human body and have recently destroyed a competitors watch worn by my backup in this simulation, the Seiko clearly had no problem with these conditions. I also subjected the watch to high temperature and humidity which also destroyed a watch I was previously wearing. Next month I will subject the watch to what might be its most dangerous conditions on the ground, when I conduct my water landing survival training in the Black Sea. I will also have the chance to test the watch on a few zero-g parabolic flights prior to my spaceflight in October. Not only has the Seiko Spacewalk watch proven to be a survivor in these difficult conditions, but it has proven to be invaluable as a critical timepiece and a beautiful addition to the amazing technologies of space travel. 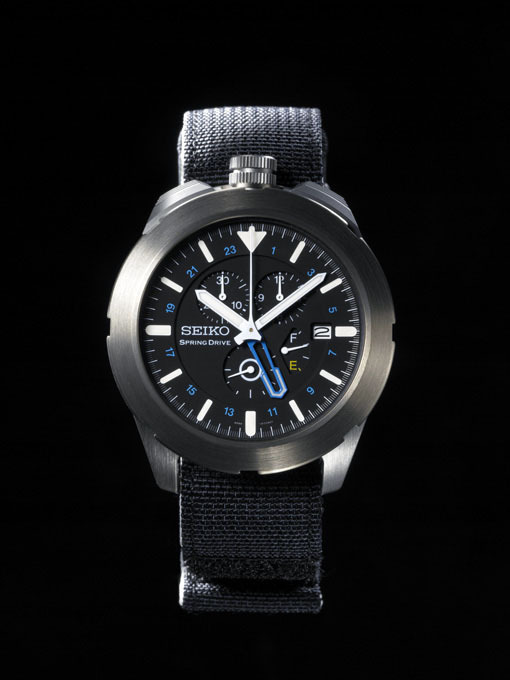 In my opinion it is something Seiko should rightly be proud of. Mr. Richard Garriott’s mission is organized by Space Adventures, the company headquartered in Vienna, Virginia, USA, and which organized the flights for the world’s first private space explorers. This entry was posted on July 7, 2008 at 8:51 am and is filed under Press releases. You can follow any responses to this entry through the RSS 2.0 feed. You can leave a response, or trackback from your own site. Totally agree with David S.
After reading the article, I feel that I really need more information on the topic. Could you suggest some resources please? the champion of a space watch will be determine by the most actuate time-keeping from the elements. OMEGA has a difference of about 20 odd minutes (not sure) ; and for SEIKO, need to wait for results. SEIKO already proved herself of a strong, and better than most Swiss mfg. in time keeping accuracy and power reservation. I have the black one of this watch, which if u get the black one the paint chips away. but thats besides the point for this watch. what i want to say for this watch is that its good weight but the face of the watch is kind a small. i would have liked it more if the face was 2-3 mm more. other than that it functions well. over all its a good watch. my wordpress content into it? Any help would be greatly appreciated! Great goods from you, man. I’ve be aware your stuff previous to and you’re just extremely wonderful. you continue to take care of to stay it wise.